This may be the easiest yet most valuable challenge ever! Commit to wearing our blue blocking nighttime eye wear at least one hour before bedtime for seven nights in a row. First we'll take 20% OFF your purchase. We will provide additional support for helping you create a positive evening routine. Then we offer a 100% refund (including shipping) if your sleep is not improving. You just need to wear them consistently for seven days and fall asleep faster! Choose which style you need. Clip-on lenses go over top of reading or prescription glasses. Use the code KAPL2018 at check out to receive your 20% discount. High quality construction, and these babies seem to TOTALLY block blue light. My wife and I both use them for viewing TV and browsing late at night. No longer any problems getting to sleep, AND we naturally go to bed earlier, as the blue light from the screens no longer keeps the brain stimulated. Finally, Blue light blocking glasses for prescription lenses. These are just what I was looking for to reduce blue light exposure in the evenings. Quality glasses fit my ladies metal frames easily. There's a little spring clip on the bridge that opens if you pinch it, so they go on your Rx Glasses easily. Includes a hard plastic case and satin sleeve. Good customer service. Even small amount of blue light can suppress nighttime melatonin production. Avoiding blue light can be challenging. 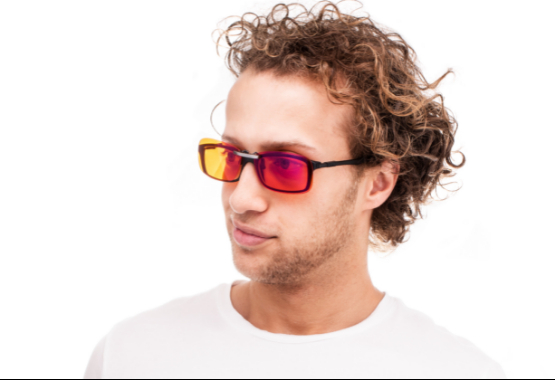 Most blue blockers only reduce a small portion of the spectrum. When we say blue blocking, we mean ALL blue! 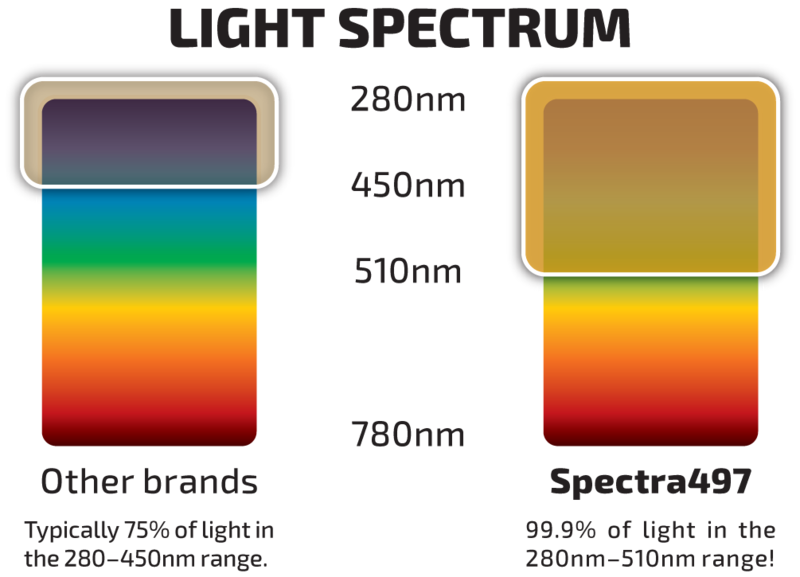 You want the entire spectrum of disruptive blue light blocked out and that's what we offer. Remember to use the coupon code KAPL2018 at check out to receive your limited time discount.